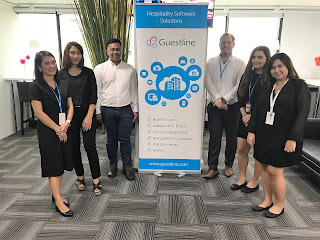 Global hospitality software business Guestline has increased its global footprint even further with the appointment of a new country manager in Thailand, in addition to expanding its team in the Asia region. New country manager Matthew Emptage leads the growth of the team in Thailand. His role also oversees Australia and Singapore for Guestline. The appointment follows the recent opening of Guestline's first ever office in Ireland and Guestline expects to add further to its international expansion over the next six months with new appointments and new offices. The Thailand team works from a new office location in Bangkok and guides and supports hospitality clients throughout the South East Asia region. The new appointments see Guestline have both training and sales roles based in Thailand for the first time, developed to offer increased customer service and administrative support. "Guestline's investment in new teams and new opportunities to support our clients has been extensive. We continue to grow in both existing and new markets for our business. Enhancing our team in South East Asia is an exciting milestone. This is an important step in Guestline’s international growth programme so watch this space for further new developments in other regions of the world renowned for their hospitality excellence." For more information about Guestline please visit Guestline.com. Lucky Patcher App Thanks for sharing.I found a lot of interesting information here. A really good post, very thankful and hopeful that you will write many more posts like this one. It was always interesting for me that teachers don't understand why homework does not have to be hard. But after reading this info I am sure that I was right. Guestline deliver on everything they say they will! They have great account management, the implementation process is thorough and we are guided through every step and made to feel at ease. It is seamless and stress-free.